If we look at the skills of the what traditional archaeologists call the 'Megalithic People' - the civilisation that made the first stone monuments. We notice that to achieve such grand constructions, they would have required the advanced mathematics which to date have been credited to the ancient Greeks. 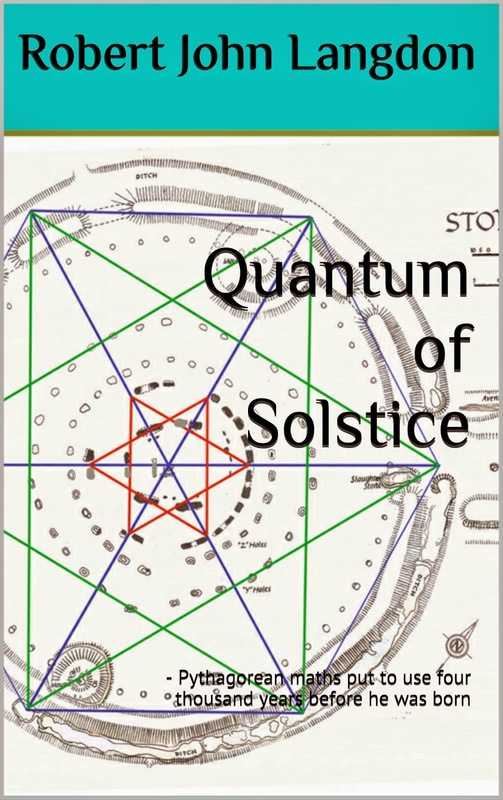 By undertaking a closer detailed analysis of monuments such as Stonehenge and more importantly the mathematics used to design such monuments, we can see that these constructions that are ten thousand years old were in fact, based on sound and accurate trigonometrical theory. 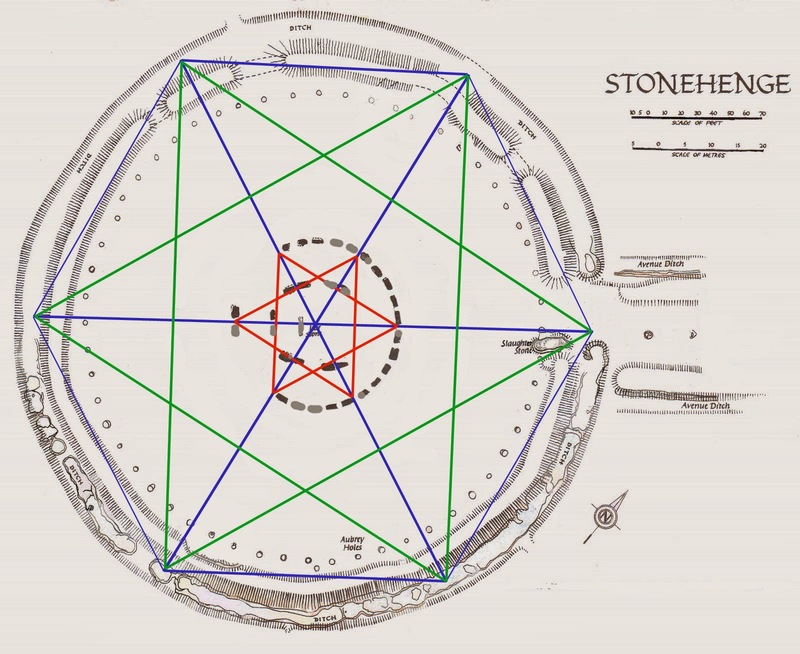 So how was Stonehenge planned and what can we see from the 'blueprint' what they knew about mathematics? 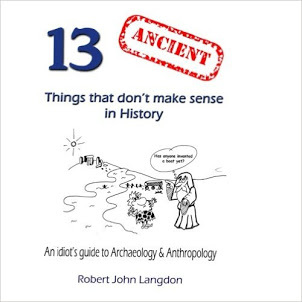 Firstly, Stonehenge was built in two very separate phases - current archaeologists are confused by the monument and dating of the structure, so if you read or browse the internet you will see the 'traditionalist' quote three to five phases. 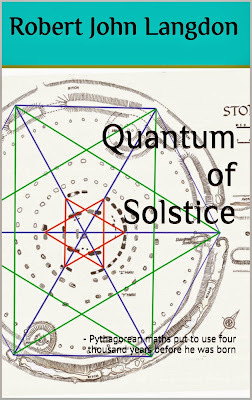 Moreover, these phases occurred AFTER the original monument was abandoned and thousands of years later, the ritualistic Celts occupied the monument and used it to worship the Sun and the Summer Solstice as we see reenacted today during the summer solstice. The First Phase took place at 8500 BCE when our ancestors built the original ditch made up of individual pits that were cut below the ancient groundwater table level to create a moat. This moat was used with the Bluestones to bathe away infections from cuts and bites which, if left untreated, would have turned into gangrene and lethal fevers. For Bluestones (when wet) releases chemicals, including the most potential natural antiseptic - rock salt. The most amazing aspect is the accuracy of the diameter of this moat, which is exactly 360 ft (109.73m). This length is no accident or coincidence it is the reason that our angular and trigonometrical system revolves around 360! We have 12 months a year and each has a lunar cycle that lasts (from New Moon to New Moon ) 29.53 days. We have shown in my last book 'The Stonehenge Enigma' that there was 56 Bluestones (2 x 28), and we can show that this was used as a very accurate (99.8%) moon and eclipse calendar, which could compensate for the 0.47 day difference between the moon cycle and a 30 day standard cycle. It is, therefore, no surprise that the most ancient of calendars are 12 x 30 = 360 days in length. In history, we know that in the eighth century B.C.E., civilizations all over the world either discarded or modified their old 360-day calendars. The 360-day calendars had been in use for the greater part of the past millenniums. In many places, month lengths immediately after that change were not fixed but were based instead on observation of the sky. Priest-astronomers were assigned the duty of declaring when a new month began – it was usually said to have started at the first sighting of a new moon. Month length at that time was simply the number of days that passed from one new lunar crescent to the next. During those years in Rome, for example, a Pontifex (priest) observed the sky and announced a new moon and therefore the new month to the king. For centuries afterward, Romans referred to the first day of each new month as Kalends or Kalends from their word calare (to announce solemnly, to call out). The word calendar derived from this custom. The ancient Babylonians in 4000 BCE used a calendar with alternating 29- and 30-day months. This system required the addition of an extra month three times every eight years, and as a further adjustment, the King would periodically order the insertion of an additional extra month into the calendar. However, what is interesting is that monument becomes a 'time capsule' from our ancestors to show us that they understood the mysteries of mathematics. For when a circle that has a diameter of 360 ft has a moated circumference (the area around the edge of the circle) of 1130 ft in length. So if we divide the length around the edge 1130 by the diameter 360, we get a very interesting number 3.14 - why is this absorbing, because it's what we know as PI or 3.14159!! 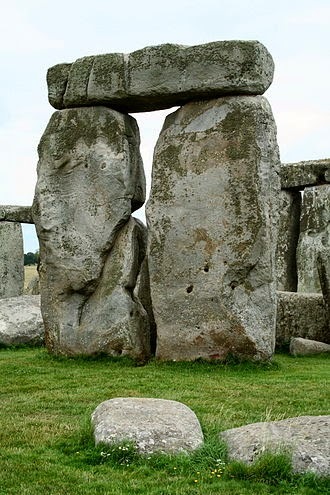 So did the builders of Stonehenge leave us a message in stone? No one knows who invented Pi, yet the Ancient Greeks used this unusual symbol to denote pi - does it remind you of some monument we have been discussing? Why would the Greeks use such a symbol to denote the relationship of a circle to its diameter? Surely, you would use something round, not a classic trilithon symbol as found at Stonehenge - unless of course, that is it was first used! Now 360 is also a very interesting number when it comes to circles as there are 360 degrees in a circle. This is a particular number for if you were to pick a standard number to determine the degrees in a circle would you not go for something much easier and obvious to remember and use like 100? Such a number is not good for trigonometry as a standard right angle triangle with a 360-degree circle has 90 - 60- 30 which allows simple mental maths to be calculated, such as calculating the sides of a triangle. For if it were based on a 100-degree circle, the triangle angles would be 25 - 16.66 - 8.33 and the ability to calculate angles in your head or as an approximation (no electronic calculators in the Stone Age) would be far more difficult. 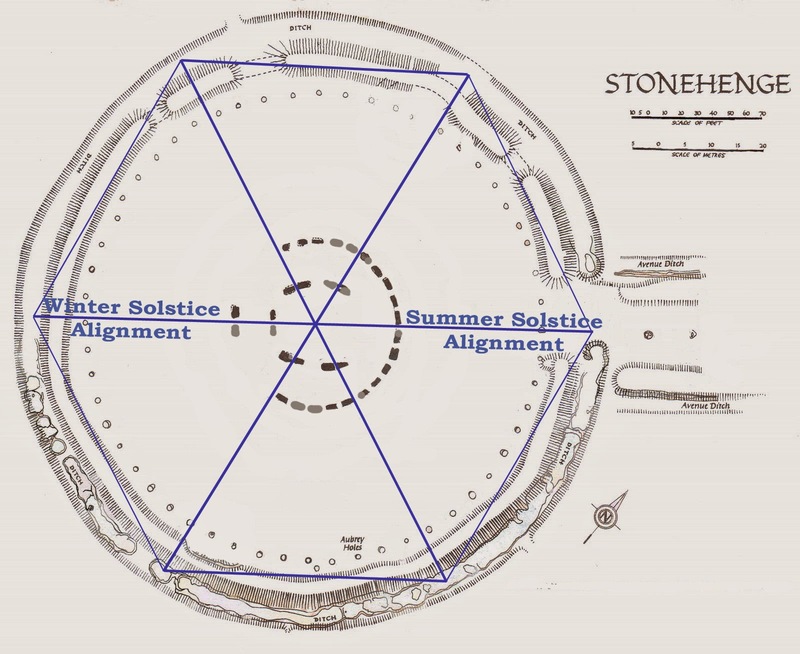 So the logic to link the degrees (or days) in a circle or solar year is obvious and is clearly reflected in man's first stone construction at Stonehenge. However, Pi is only the start of this amazing construction, and the work accredited to Pythagoras in the past must now be questioned. Man has always left obscure 'time capsules' to the future (or Aliens) would you have been able to understand the geometric patterns of Voyager 1? 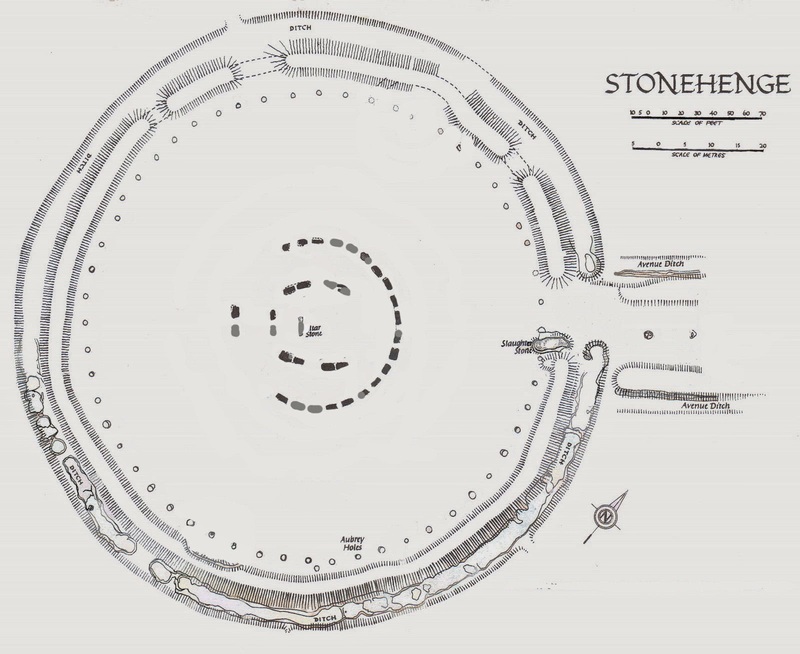 Four thousand years after the original Phase I Circle was constructed with the 58 Aubrey Holes that held Bluestones from the Preseli mountains in Wales. These stones were used for a map the 360-day lunar calendar; they decided to erect an additional central monument. In the first book of the trilogy, I proved that this monument was a temple to the dead of Doggerland, who died in an earthquake and subsequent tsunami in about 4200 BCE as recorded within Plato's dialogues, as a relief map of Doggerland (Slaughter Stone) and the Altar Stone (both made from micra sandstone) directly point to the ancient island, was also added at the time of construction. Phase II of this construction included a new entrance causeway surrounded by moats known today as 'The Avenue,' which led to the Neolithic shoreline which lay in the valley at Stonehenge Bottom. 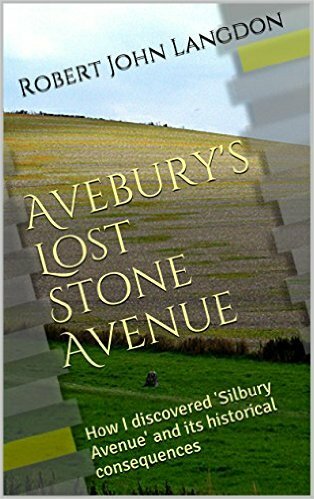 This 600m 'road' was used to, not only, transport people to the monument, but moreover, to move the larger Sarsen stones (weighing up to 16 tonnes) by boat to the new monument at Stonehenge from the Marlborough Downs near Avebury a distance of between 20 - 25 miles. 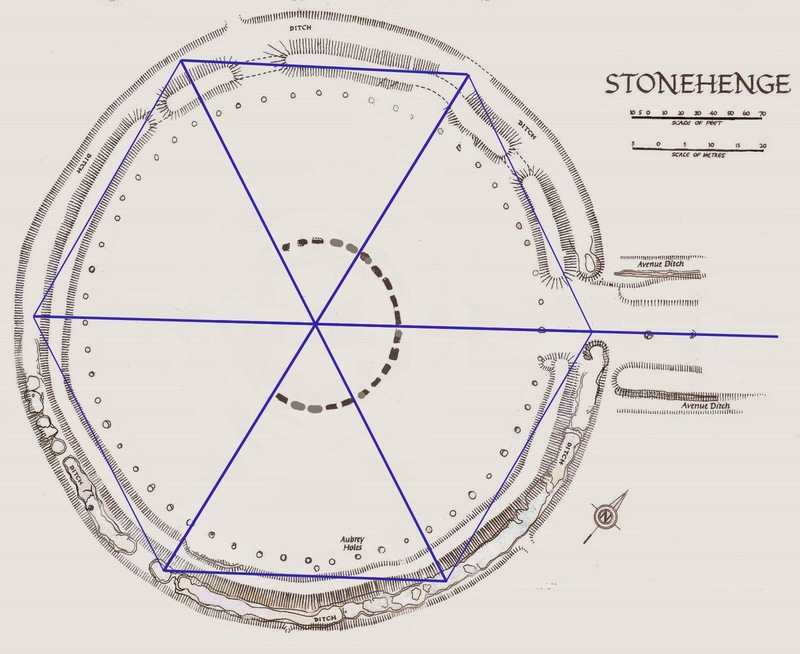 This alignment gives us the 'best' date for the construction of Stonehenge (as carbon dating is not possible for stones or stone holes) and confirms the date of Doggerland’s demise in 4200BCE. So what we have now is our first 'chord' alignment that corresponds to the diameter of the Stonehenge ditch and the starting point of the circle which is its alignment to The Avenue. From this start, they then sub-divided the circle up into six portions called a 'Hexagram' in mathematical terms for as we will show you in the book 'Dawn of the Lost Civilisation' the number six, and its multiples are very important to our ancestors. The Hexagram was constructed by a series of strings of the same length (centre of the monument to the ditch) creating six 'equilateral' triangles, with all three sides the same length and therefore all three angles are of 60 degrees. A crescent of stones was then formed for the monument (as illustrated in my previous book 'The Stonehenge Enigma') for the temple was dedicated to the dead and therefore, would have represented the crescent moon NOT the sun as some currently believe, for this adaptation occurred when later Druids altered the site by adding smaller stones and re-positioning the outer circle of bluestones. Then the five pairs of the trilithon stones in the inner horseshoe were added making sure the gaps between the stones followed the alignment corresponded to the hexagram design. 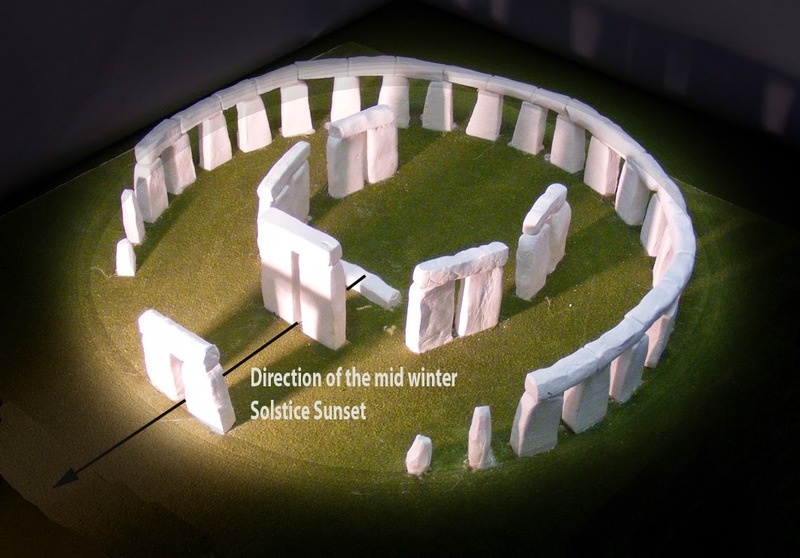 Lastly, the smaller outer circle trilithon which was aligned with the winter solstice sunset was added to complete the monument. The Altar Stone and the 'relief map' (Slaughter Stone) of Doggerland was added to complete the original monument to point to our ancestors 'lost land' which Plato called 'Atlantis'. The hexagram is a mandala symbol called satkona yantra or sadkona yantra found on ancient South Indian Hindu temples. It symbolizes the nara-narayana, or perfect meditative state of balance achieved between Man and God, and if maintained, results in "moksha," or "nirvana" (release from the bounds of the earthly world and its material trappings). 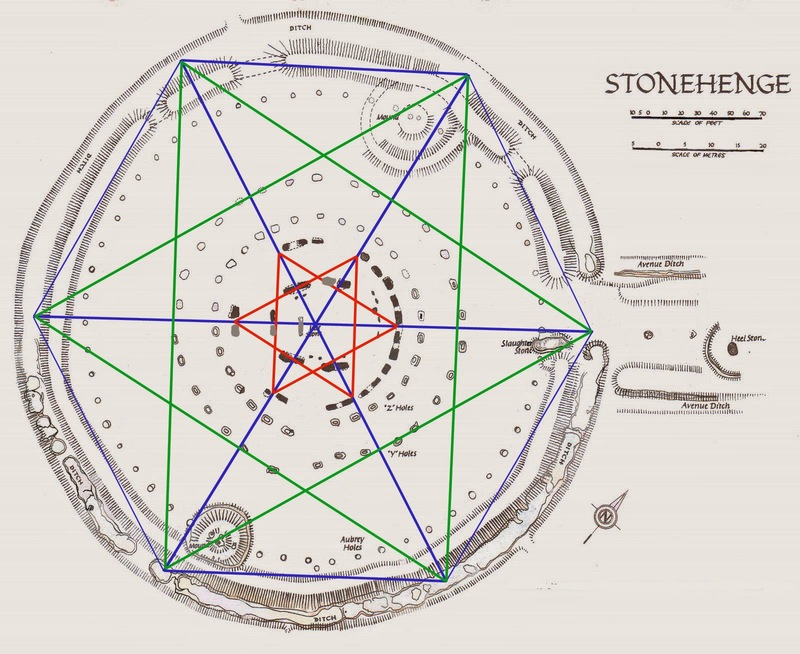 Is this what we are seeing in the construction of Stonehenge - mankinds first religious beliefs of 'Man' the bottom triangle pointing up and God or Spirit world the triangle pointing or looking down? 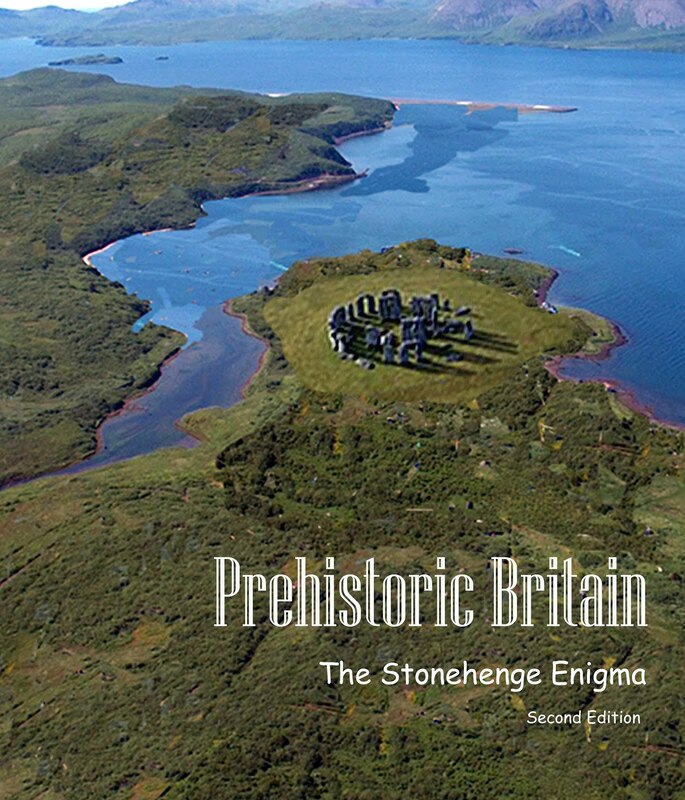 What we do know about Stonehenge is that it was a temple to the dead of Doggerland constructed at the same time that Doggerland was swamped by the rising sea levels we are still experiencing today. 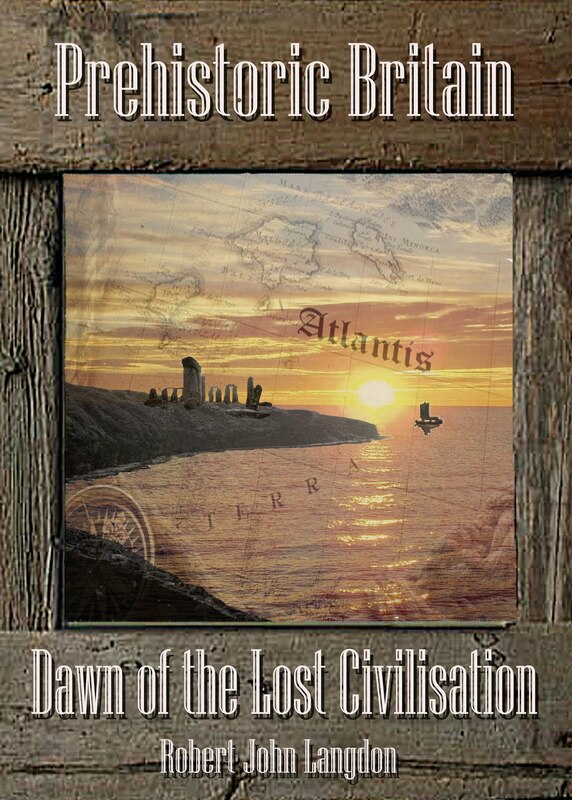 This disappearing peninsula started to erode some ten thousand years ago directly after the last Ice Age had ended and the seas began to rise which over the course of the next six thousand years left this once mighty land as a small island Plato called Atlantis. Why the oldest units of measurements are the inch and foot and how these strange sizes actually confirm who the 'Megalithic People' were! Why six and twelve are more familiar to the 'Megalithic People' than our units of five and ten? How this mathematics was used to construct other 'Megalithic Monuments' around the world including the Great Pyramid? How trigonometry and Pi helped 'Megalithic People' navigate around the world using basic instruments?